For a relaxing Johannesburg country hotel, Fabz Estate Hotel & Restaurant is set amidst striking surroundings to create the perfect escape from the inner city. 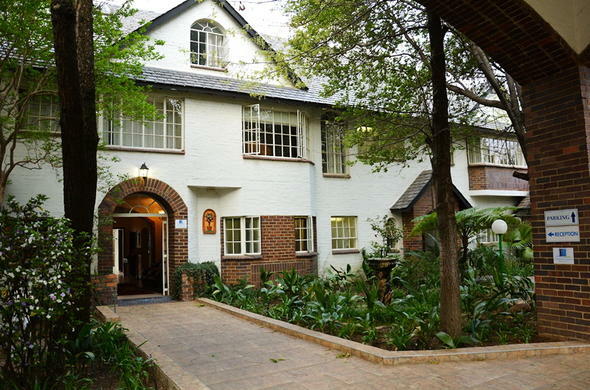 This Johannesburg country hotel offers an excellent standard of service, hospitality and quality accommodation. Fabz Estate Hotel has fully equipped conference or wedding facilities and an a la carte restaurant. Guests looking to escape the hustle and bustle of city life can enjoy a refreshing getaway to this Johannesburg country hotel. From the English gardens, picturesque river frontage and decks, through to the poolside terrace, marquees and tranquil lake, The Fabz Estate Hotel & Restaurant has much to offer. The Restaurant on the Estate caters for up to 60 guests. Guest will find fine service and atmosphere whilst enjoying candlelit dinners nestled between three fireplaces. There is a stylish and comfortable adjoining lounge. The Fabz Estate Hotel and Restaurant near Sandton is a charming country retreat with the ability to host memorable events such as weddings, birthdays, end of year parties as well as private and corporate functions. Lonehill in Fourways is a superb location with great country appeal, yet close enough to entertainment, shopping and sporting facilities as well as access to main highways. The Lakeside venue adjoins the elegant hotel buildings and provides manicured gardens with established trees and a lovely deck overlooking the lake. The gardens create a peaceful place to relax by day, and a magical setting with many twinkling fairy lights at night.